The word ‘Homoeopathy’ is derived from two Greek words, Homois meaning similar and pathos meaning suffering. Homoeopathy simply means treating diseases with remedies, prescribed in minute doses, which are capable of producing symptoms similar to the disease when taken by healthy people. It is based on the natural law of healing- “Similia Similibus Curantur” which means “likes are cured by likes”. It was given a scientific basis by Dr. Samuel Hahnemann ( 1755-1843) in the early 19th century. It has been serving suffering humanity for over two centuries and has withstood the upheavals of time and has emerged as a time tested therapy, for the scientific principles propounded by Hahnemann are natural and well proven and continue to be followed with success even today. Its strength lies in its evident effectiveness as it takes a holistic approach towards the sick individual through promotion of inner balance at mental, emotional, spiritual and physical levels. 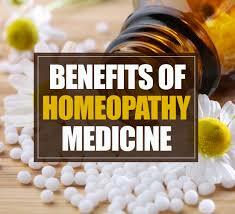 Homoeopathy today is a rapidly growing system and is being practiced almost all over the world. In India it has become a household name due the safety of its pills and gentleness of its cure. A rough study states that about 10% of the Indian population solely depend Homoeopathy for their Health care needs and is considered as the Second most popular system of medicine in the Country. In a way, it is an advanced form of vaccination; whereby a substance which is capable of producing a disease like state is administered to the patient, but in a very minute dose, to cure the similar disease. Homeopathy works much beyond vaccination. Here, the dose administered is unbelievably minuscule, which renders if absolutely harmless yet very powerful.Contrary to the conventional medicine, the action of homeopathy is much safer, deeper acting, somewhat slower, and results much longer lasting by energizing the body’s curative powers. Homeopathy is amongst the youngest and latest medicines calling for more research and promotion. Homeopathy has a long standing record of success in the treatment of epidemic conditions, and recent experiences in Brazil and India strongly point to the usefulness of homeopathy in treatment and prevention of diseases like Dengue. The treatment is holistic and individualized and selection of homeopathic medicines depends on individual response to infection, severity of disease and clinical presentation of the case. There are theories on how exactly homeopathic medicine works. As supported in major clinical trials and in practice, it is believed to be working by stimulating body’s own healing mechanisms.For example, in case of diseases which are caused by infection, it seems to be working by stimulating the production of antibodies, defense blood cells, etc. In cases of immune diseases, it seems to be working by correcting the immune mechanism. In case of painful conditions, by activating body’s anti-pain mechanisms. Similarly, its action must be on the lines of being antispasmodic, anti-allergic, immuno-modulatory, anti-inflammatory, hormone stimulatory, anti-carcinogenic, etc.Large scale studies alone will allow full exploration of this young science. Interestingly, the homeopathic medicines are also prepared in such a sophisticated way that rather than using harsh chemicals for treating humans, homeopathy uses attenuated and ‘potentized’ medicine substances which are in the form of nano-particles, which have been found to be effective in treating the diseases at much deeper level. And, needless to say, the homeopathic medicines are absolutely safe and free from adverse effects. They are safe for even new-born babies as well as during pregnancy, and for elderly patients. Myth #1: Homeopathy is simply herbal medicine. Myth #2: Homeopathy cures all diseases. Myth #3: Homeopathy is a placebo therapy. Fact: Homeopathy is a proven therapy, used successfully for last 200 years in over 170 countries; supported by scientific studies. It shows once ignorance if one believes that homeopathy is placebo. Myth #4: Homeopathy increases the disease before curing. Fact: Not really. Only some disease such as eczema might worsen, that too in less than 5% of cases, if medicines are not professionally prescribed. The whole idea of increase of disease before cure, is exaggerated. Myth #5: Homeopathic medicines contain steroid or cortisone! Myth #6: Homeopathy is very slow. Fact: Homeopathy is little slower than the convectional medicines; but not very slow. Since it deals with chronic and difficulty diseases, the course of treatment may seem slow and long. Myth #7: Homeopathic medicines cannot be taken with the conventional (allopathic) medicines. Myth #8: Homeopathy is very fast! Fact: It is not even very fast. It all depends on the nature of disease that is under treatment. Fact: Not always, to be honest. Homeopathy gives lasting results for sure. The word is theoretical, which cannot be promised for, in difficult diseases. Myth #10: Coffee and onion cannot be taken during homeopathic treatment. Myth #11: Homeopathy can cure cancer, mental retardation, heart blocks, baldness (MPB), all surgical diseases, cataract, hernia, hydrocele, etc. 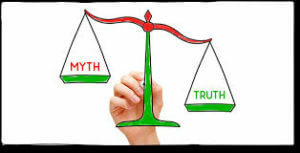 Myth #12: Investigations such as x-ray, blood test, MRI, etc. are not required for homeopathic treatment. Myth #13: Diagnosis is not required for homeopathic treatment. Myth #14: Homeopathic medicines are prescribed only on the mind symptoms of the patient. Fact: Not correct. Study of disease, diagnosis and mental attributes are studied in homeopathy. Myth #15: Vitamins, iron-tonic, etc. should not be taken during homeopathic treatment. Myth #16: Homeopathy is against surgery.